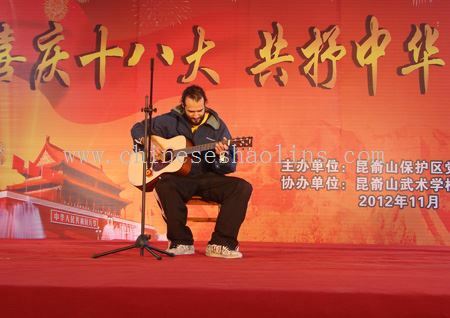 Kungfu Competition and art performance in 2012 year. 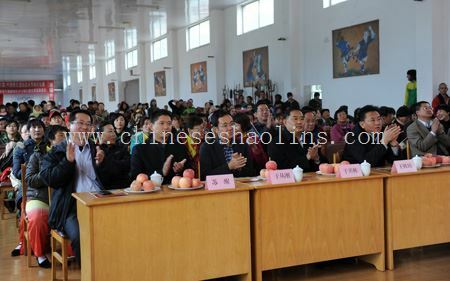 In mid of November 2012,the school and Chinese government held the Art Performances Show together inside school to celebrate the 18th Communist Party of China National Congress. 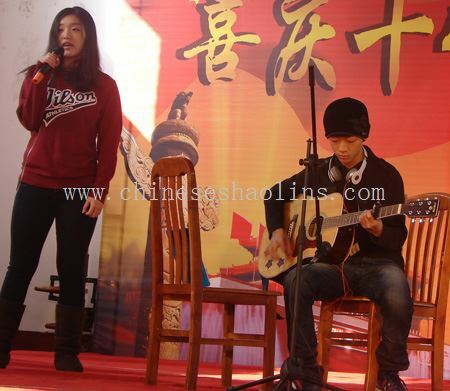 The Korean students performing Singing (Sister and brother). The students perform playing Guita and singing. The audience of school and government. 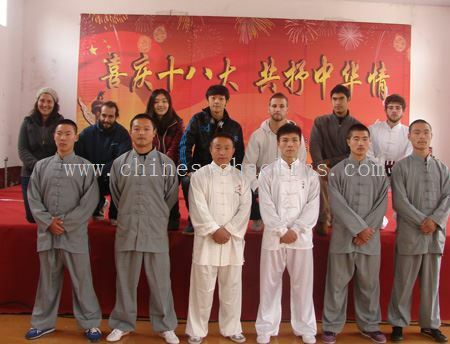 In October,2012,we received the invitation from Dalian city martial arts association ,we sent some students to take part in the traditional international martial arts Festival held by Dalian city,and got excellent records. 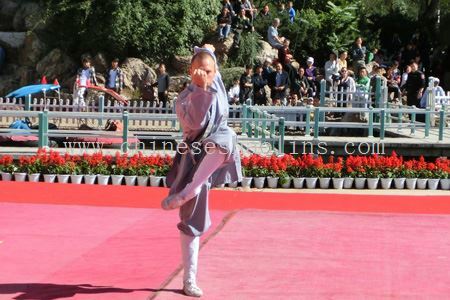 The students took part in Traditional martial arts competition held by Dalian city 2012 year. The student was in competition. 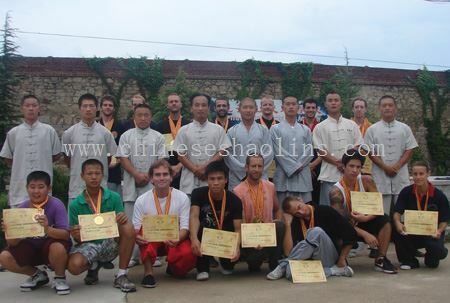 In July 28 and August 8,2012 respectively,some of masters and students took part in the International Traditional kung fu competitions held by Yantai city for twice,and completed the competitions successfully and achieved excellent records. 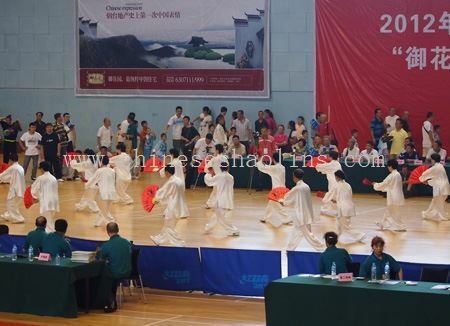 The opening ceremony of Traditional martial arts competition 2012. 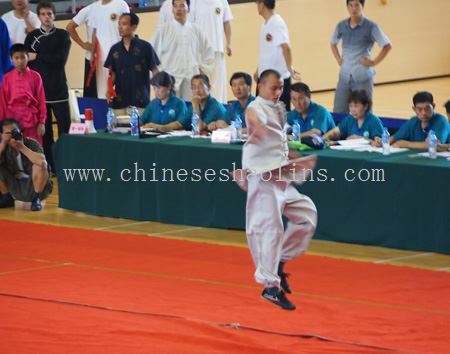 The master doing Shaolin Chuan in competition. 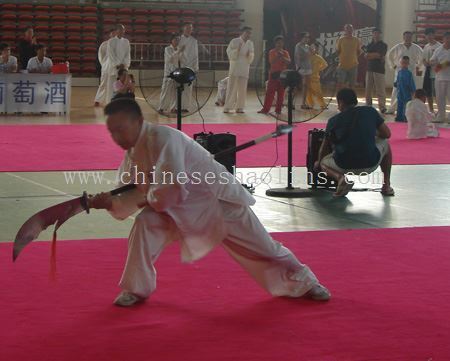 The master doing big sword in competition. 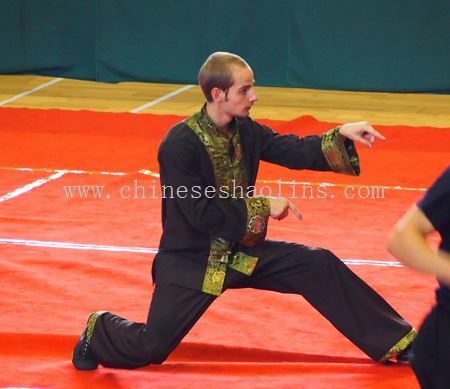 The student doing mantis in competition. 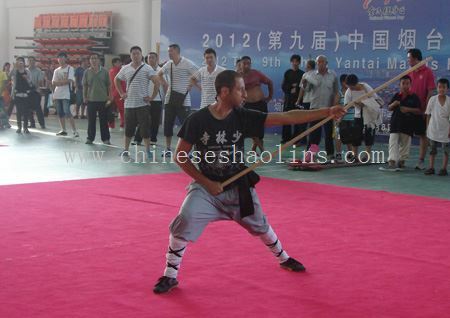 The student performing Shaolin staff.